Apps Coder is a leading app development company in Kolkata, offering peerless services to all its customers across the globe. 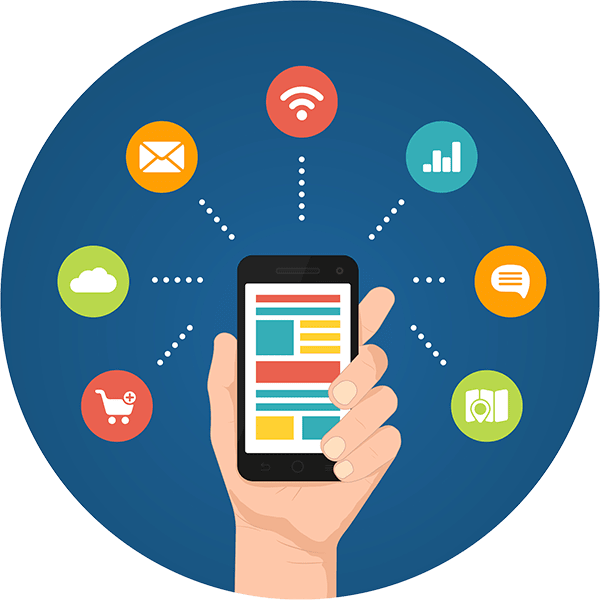 With our wide array of top-class enterprise mobility solutions, we are masters in providing superlative app development services that are both productive and systematic. With an invincible passion and unmatched intuitive skills, Apps Coder is a one stop solution for realizing all your web requirements. Being a highly customer oriented enterprise; we seek to anticipate our clients’ vision, helping them covert it into their strongest form of online identity. We are a team of proficient app developers and proactive thought designers who are recognized globally. Our forte lies in taking your unbaked ideas to fresh heights and turning them into highly user-engaging products. We are a performance oriented and customer-centric app development company in Kolkata that helps in devising apps that top the app store charts. At Apps Coder, we strive for excellence by inventing and developing industry’s best apps, Mcommerce, IoT, cross-platform and enterprise mobility solutions. We translate these technologies into value for our customers proffering them adept and professional services, thereby helping businesses across the globe to realize their full potential. We employ a consortium of skilled technical experts who make use of their ingenuity to offer versatile IT solutions to our long chain of global clientele. Our unorthodox ways for information technology services have made us the leaders in this field. At, Apps Coder, we have a talented team of developers and designers that have in-depth knowledge in their own specific working domains. Our team includes professionals who have proven expertise in multifarious development platforms such as Swift, C++, .Net. Python, Java, XML, Objective C, and more. We are renowned app developers in Kolkata as all our apps are developed in hybrid platform in Cordova and Ionic framework in order to render cross platform support. We begin by gathering all the information about your business enterprise, goals and objectives. Based on that, our expert strategists set themselves on sketching an idea that meets your precise needs. Once all of us embark upon a mutually agreed idea, the team dives deep in the project details. In this stage, we create a beta version of your mobile app or website for putting the entire developed concept into action. Each module of the project is carefully tested by passing it through rigorous examining channels to avoid any kind of breakdown. This has successfully earned us the reputation of being the best android app development company in Kolkata. Advanced and competent project management tools such as GitLab, Hubstaff, Jira form a significant part of our app development process. We employ experienced app developers in Kolkata who take the lead and make use of the right technology for creating a perfect web solution. For us at Apps Coder, design is much more than making an app look pretty and intriguing. We pay maximum heed to make our apps user friendly, highly responsive, functionally rich, intuitive and addictive in order to provide our end users the best digital experience. After conceptualizing an idea, we move to pre-engineering where we start with the root level construction, complete project analysis, fabricating blueprints of the concepting design, technical consultation and comprehensive specification and submission of a resource plan. In this stage, the app is finally uploaded to the respective app stores or web browsers. We also create a developer's account, providing you with the full rights of the app account. We endeavor to push your business so as it make it more lucid and lucrative. We not only work for you, but wealso work with you. This is our mantra for augmenting your business revenues gradually and strategically. We leverage present day tools and technologies to benefit from our unsurpassable deliverables. We offer competitive product pricing and fully optimized products. All our experts are very well versed with the latest development technologies like Python, PHP, iOS and android. Our experience lies in developing apps in the genre of education, finance, business, shopping, travel, health and fitness, food and lifestyle, real estate, news, navigation, weather, productivity, social networking etc. All our achievements are paradigms of quality. We have reached a stage where our work is our strongest identity. Our dedication to achieve the best is our driving force. We are an assemblage of experienced and adroit professionals united by persistence and perseverance. So come to us with your precious concepts and our rockstar team will turn them into a beautiful reality or perhaps a virtual reality in this case. Would you like to speak to one of our staff over the phone? Just submit your details and we'll be in touch shortly.